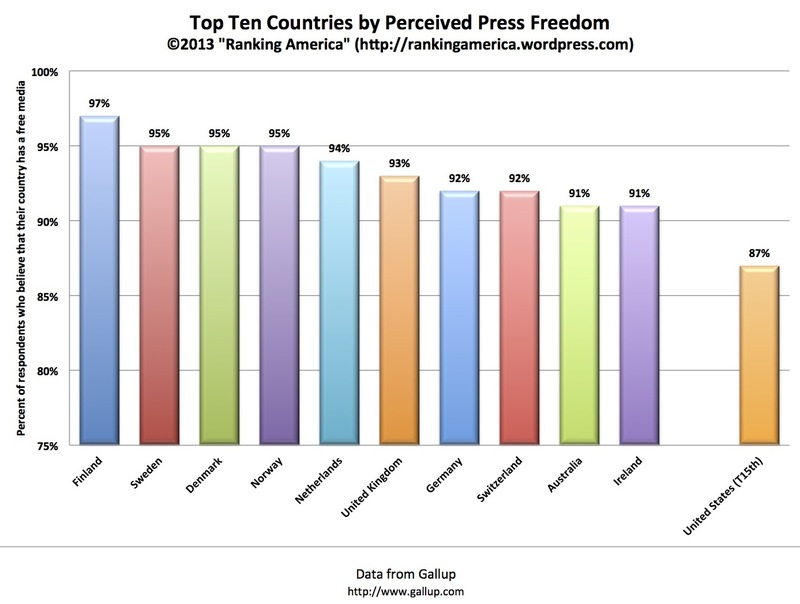 According to Gallup, 87% of Americans believe that the United States has a free media. That is enough to make the United States tied for fifteenth with Senegal out of one hundred thirty-three countries ranked in that category. Finland ranks first, with 97% of Finns believing that their country has a free media. According to Gallup, 54% of Americans report feeling emotions on a daily basis, which makes the United States tied for sixth with several countries out of more than one hundred fifty countries ranked in that category. 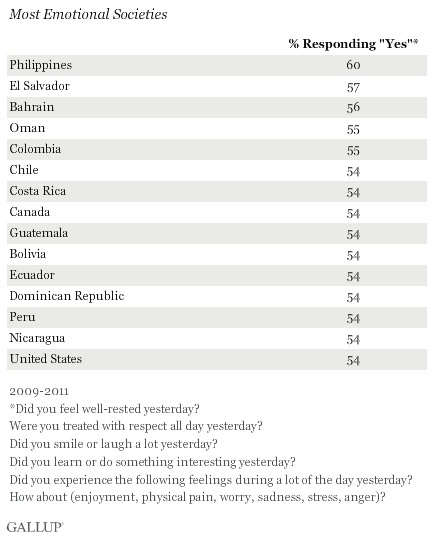 The Philippines ranks first, with 60% of Filipinos feeling emotions on a daily basis. According to Gallup, 75% of Americans feel safe walking alone at night in the area where they live. 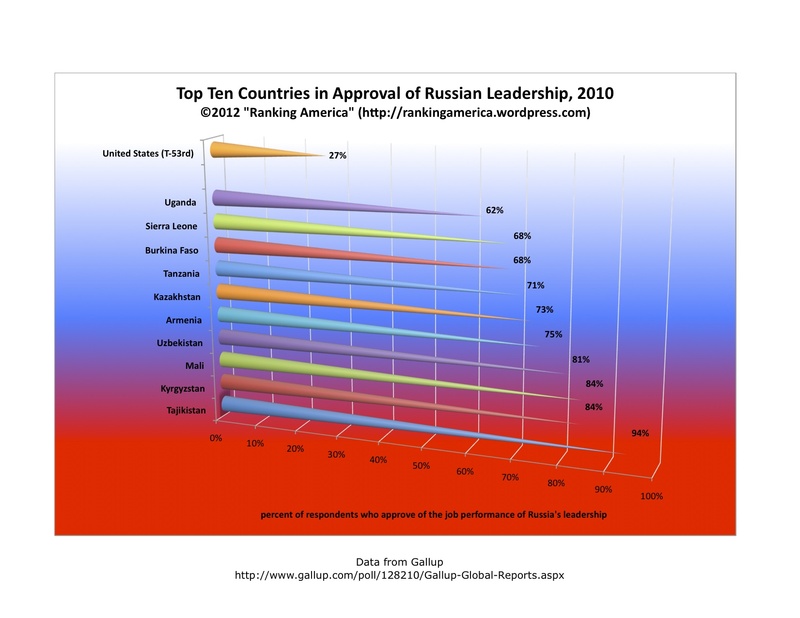 That makes the United States tied for thirtieth with Armenia and Sudan in that category. 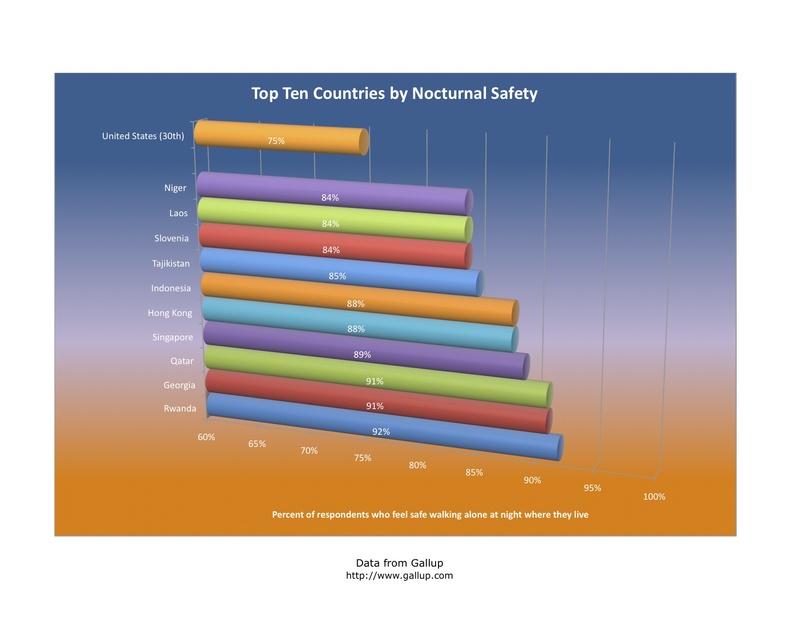 Rwanda ranks first, with 92% of Rwandans feeling safe at night. According to Gallup, the U.S. has a “negative experience index score” of 32, which makes the United States tied for twenty-ninth (with Nicaragua, Cyprus, Romania, Montenegro, Honduras, and Guatemala) out of one hundred forty-eight countries ranked in that category. Iraq ranks first, with a score of 59. The country with the lowest “negative experience index score” is the Somaliland region, with a score of 11. According to the most recent Gallup Wellbeing Survey, 59% of Americans report that they are “thriving” in their lives, an increase of two percentage points from last year’s survey. That is enough to make the United States rank twelfth out of one hundred twenty-four countries. Denmark ranks first, at 72%. 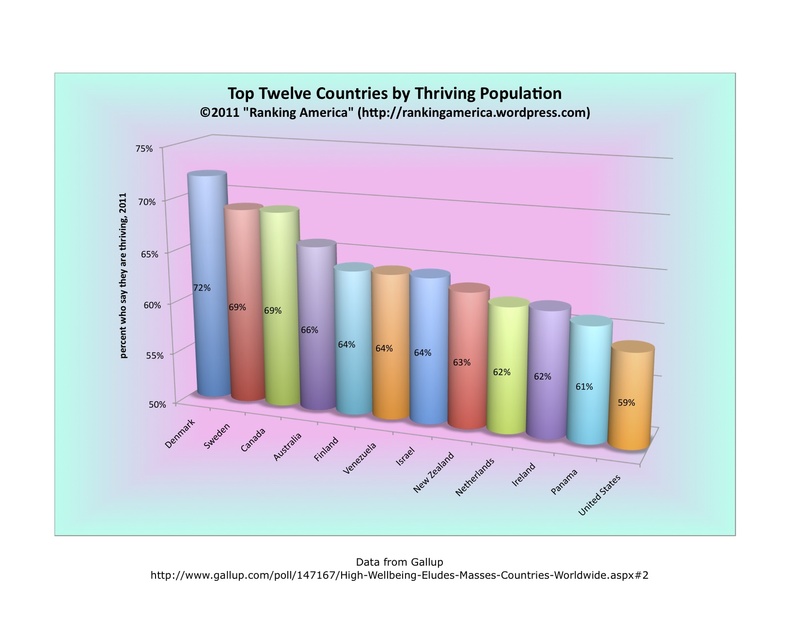 Denmark ranked first last year as well, but the percentage of respondents who said they are thriving there declined by ten percentage points from last year. According to Gallup, 16% of Americans stated that they did not have enough money to buy needed food at some point within the past twelve months. That is enough to make the United States tied for twenty-seventh with Syria, Lithuania, and South Korea, out of one hundred thirteen countries ranked in that category. 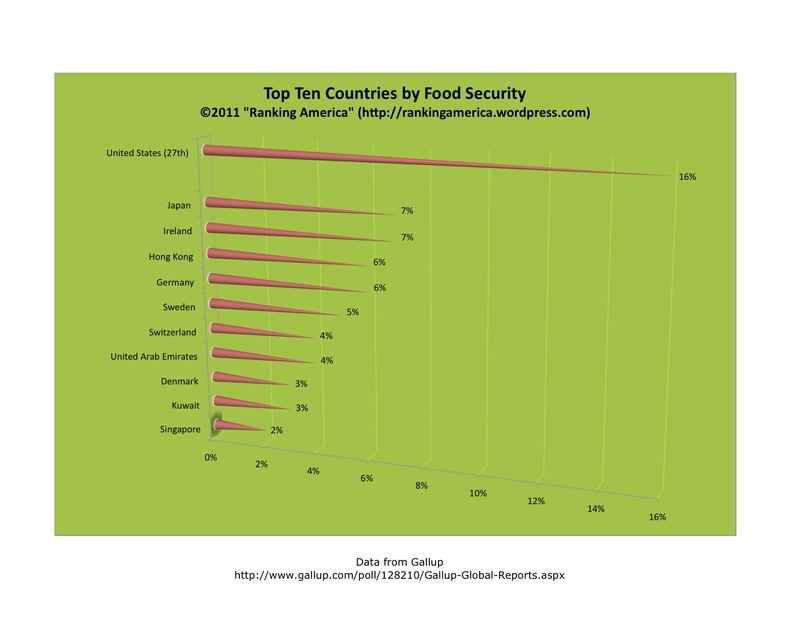 Singapore ranked first, with 2% of residents reporting not having enough money to buy needed food.